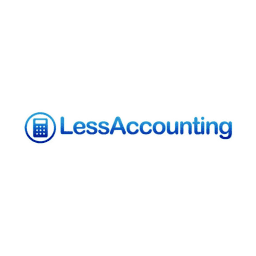 LessAccounting is a cloud-based accounting software that offers a suite of accounting workflows, automations, and reporting functions to assist small businesses. It offers users with solutions for invoicing, expense tracking, mileage logs, contact management, and more. In this article, we covered user reviews and pricing. Ready to try LessAccounting? Get a free trial. As of the date this article was written (10/23/2018), there are not a lot of up-to-date user reviews of LessAccounting online. If you are a past or current LessAccounting customer, leave a review to help other business owners who are deciding whether or not to use the company. LessAccounting has two paid plans: DIY (starts at $20/month) and Full Bookkeeping Services (ranging from $70 to $350+/month). DIY is a self-service plan, while the Full Bookkeeping Services plan enlists the help of LessAccounting to do everything. The main difference between the plans is access to premium features such as bookkeeping, monthly reconciliations, and more. 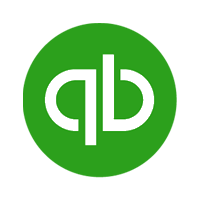 Ready to try out LessAccounting? Get a free trial. How long does the LessAccounting free trial last? LessAccounting’s free trial lasts for 14 days. Interested users can also request for a demo or contact the company’s sales team to know more about the product. Can users get a refund if they are unsatisfied with LessAccounting? Yes. LessAccounting has a 30-day money-back guarantee. Users who decide that LessAccounting is not the right app for them can simply contact the support team so that they can get their refund. Not sure if LessAccounting is the right fit for you? Read our reviews of all top accounting software providers or check out one of these three LessAccounting competitors. They are great at offering a full-featured accounting package that is easy to use and incorporates a lot of features that keep the books up to date in near real time. Rather than batch downloads from our bank or importing CSV files from my bank, Less Accounting pulls real-time data from our bank accounts and credit cards to give us an accurate picture as to the health of the business. With other accounting systems, we would keep it up to date as a tool to cover ourselves legally and it was never a real tool that we trusted for reporting. With Lessaccounting we can run reports and we know that the data is accurate and up to date. They also have great automation tools so when we charge our mobile phone bill on American Express, Less Accounting knows this is our telephone expense and categorizes it properly. They also have a great visual interface and excellent customer support. The support isn’t limited to problems in the system but actual accounting questions are answered for us as well. I’d love to see more control over invoices. For instance, I’d love to be able to assign commissions to people based on what’s invoiced to a client. Right now this can be done with some tagging but there are still some manual steps that would need to occur. We’d also love to see an option that invoices would be created but not sent until we approved them first. I feel they’ve been very transparent and so there was nothing I found out later that negatively affected my experience.